Welcome to this tutorial. 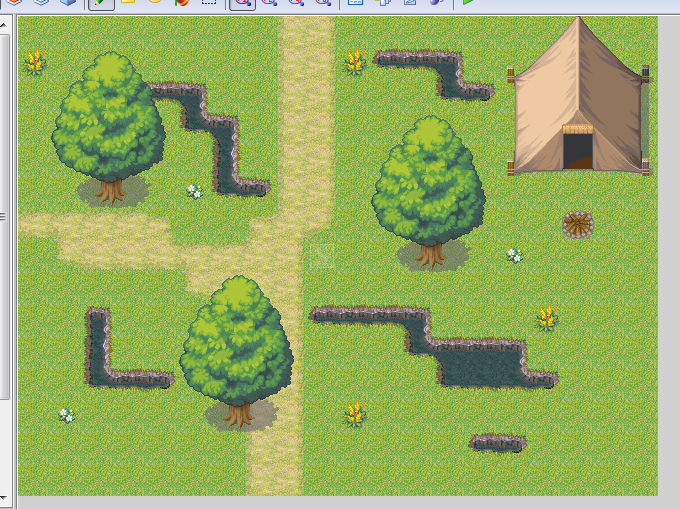 I will cover the basics of mapping in RPG Maker. Create or open your project with Ctrl+N / Ctrl+O. These are the modes you'll use to create maps. The first icon represents the first layer, that you use to create the ground. 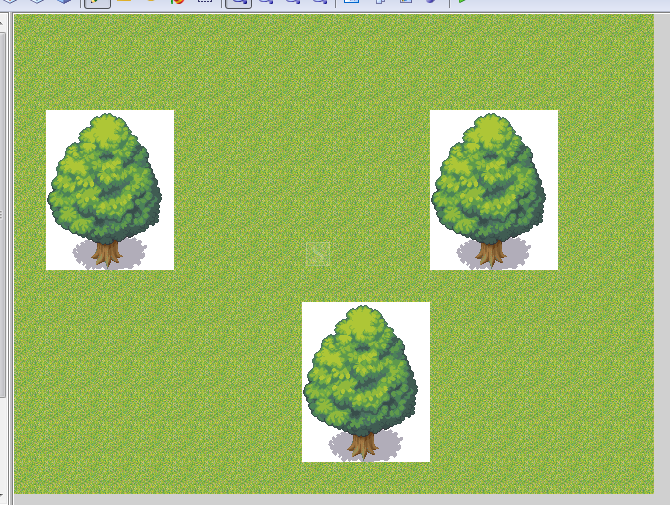 Next to it, there's the second layer, where you can put trees and other stuff. You may ask "Why are there multiple layers ?". You have multiple layers for a reason. Let's take a practical example. If you put a tree on the 1st layer on some grass, which is on the 1st layer too, there will be a white background around your tree and the grass will disappear. So, your transparency color will replace the grass. The third icon represents the third layer. It's the same system, but the objects on the 3rd layer overlaps the things you put on the second one. The last one is the event layer... But we'll see that later. I'm also going to explain something else : the autotiles. Look at this picture. These are autotiles. When you put an autotile next to another autotile of the same kind, they're put together. Let me explain with pictures, it'll better. I will explain how to create them later. Okay, so, this is the end of this tutorial. Now you should know the basics. Pour les traductions de tutos, je donnerai le nombre de PP que le tuto a eu + 1 (ou 2 si la qualité est bonne). Le tuto originel avait eu 2 points, donc ça fait 3. Et je me suis permis de corriger rapidement. Je pense qu'il faudrait juste donner le même nombre de points, car la personne qui traduit n'a pas forcément créé le tuto. C'est donc possible de traduire sans forcément trouver l'idée, ou même sans savoir l'appliquer à la limite.